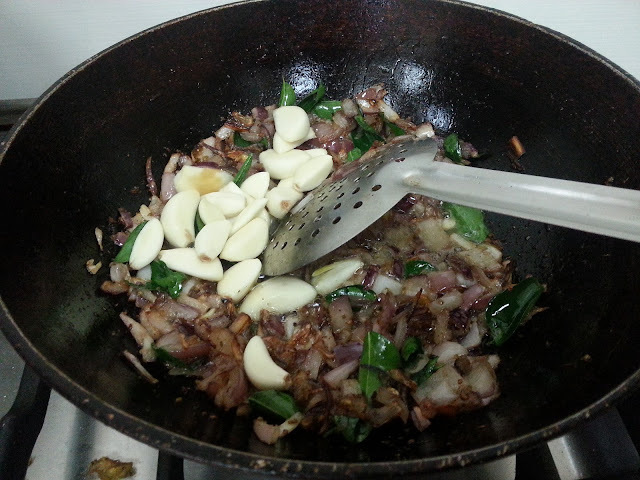 Heat oil in the pan and add garam masala n onion and fry till the onions are slightly browned. 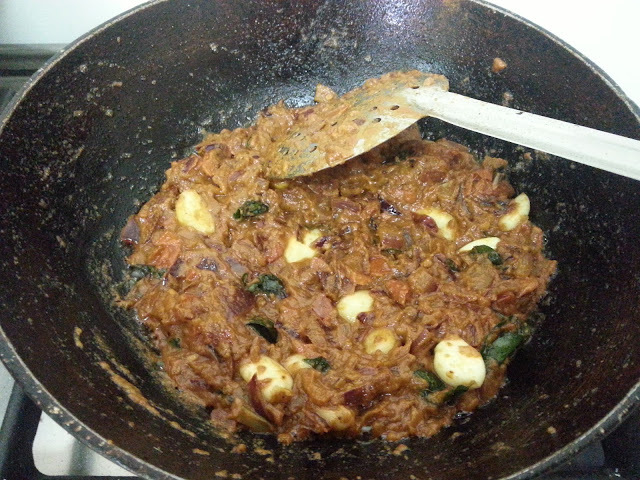 Add the curry leaves, garlic cloves and chopped tomatoes. Fry till the tomatoes are mushy. Add the chilli pow, corriander pow, salt and turmeric powder, sprinkle water and fry till the oil oozes out. Add the prawns to this mixture and stir fry till the prawns are cooked. Dont fry for long time after adding the prawns as it tends to become rubbery. 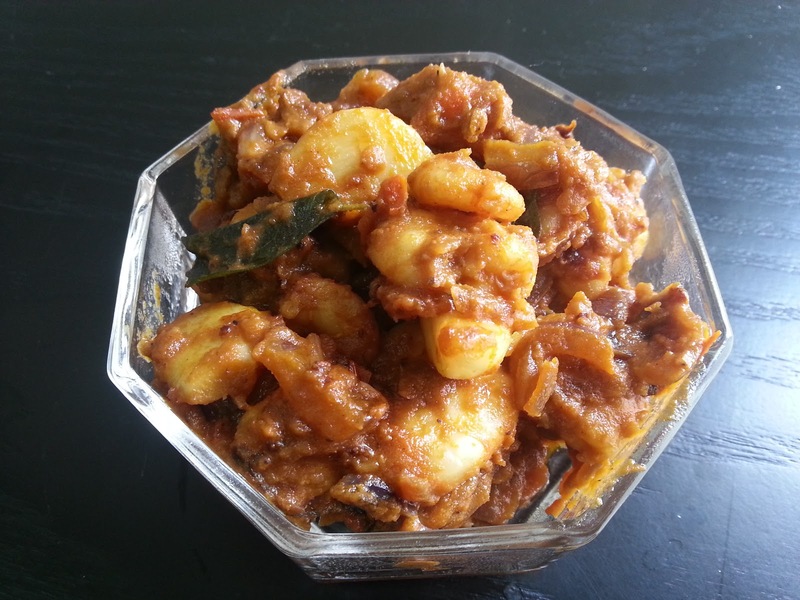 Garnish with corriander leaves and serve hot with steamed rice or roti.